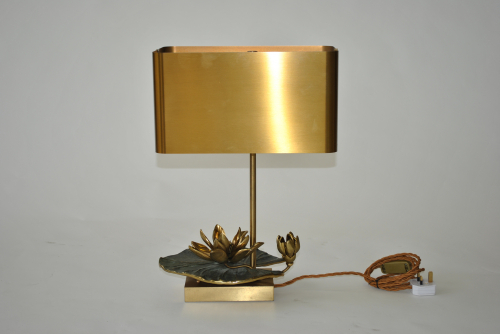 Exceptional bronze lamp by Christiane Charles for Maison Charles, Paris. Bronze and gilded bronze with a gilded metal shade. Base 28 cm by 20 cm.